Sports themed inflatables are perfect for so many sporting events. 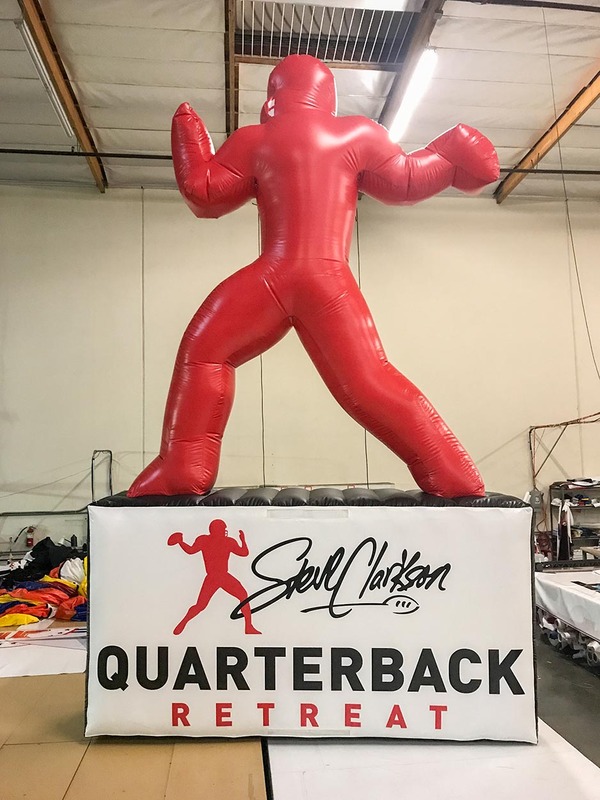 Get the attention your team needs with a huge custom inflatable. Inflatable mascots, soccer balls, and even sports equipment are among the most popular sports inflatables we have created. For the 2014 Soccer World Cup we made a 15ft Brazuca Soccer Ball but in the past we have created basketballs, golf balls, and multiple large mascots. Large inflatables change the scenery at any sports event. They serve as decorations but also as attractions where you can center information booths, food booths, and enrollment tables around. They can also be customized to reflect the ongoing event or league. You can add logos, signage, and images and fully customize it to look however you want. Want a blue soccer ball? How about purple? How about your own custom color? You can literally design all of our inflatables however you want. Now, if there is something that we have never created then you can request it be done and we will make it from scratch! 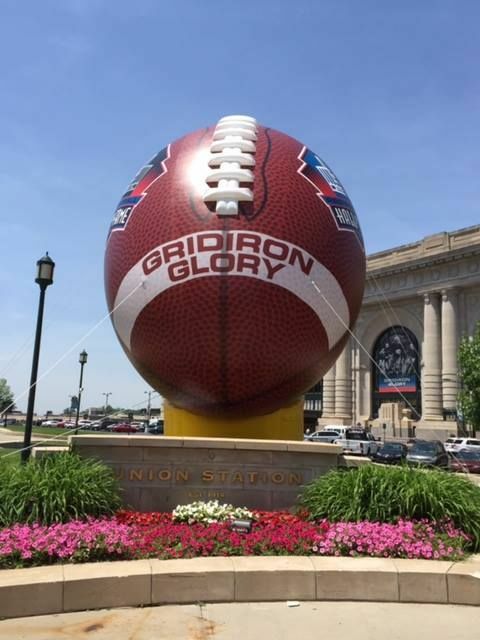 "That's a really cool inflatable football prop. It looks pretty real! You can't miss it. It's massive." Our sports inflatables come with cool stuff already packed in. For nay questions you might have, we are here for you. We make sure the colors really pop with our custom printing. We'll work with you to make sure you get exactly what you're looking for. We have been using the toughest materials for every inflatable in order to ensure that they can withstand rough handling. Every stitch, every weld and every piece of material is treated with the utmost care. On top of that we have our designers work with real life objects to understand anything we will be replicating, to the smallest of details. So when we manufacture a ball, a baseball bat or a mascot we know every little detail has been taken into account. Our designers find the proper logos and textures for image quality to be crisp when printed. Finally, the inflatables we create are pieces of art because it takes a skilled team to design and manufacture them with both precision and clean craftsmanship. When people see them towering over a crowd they see more than just an inflatable, they experience your brand. During the development process we keep the overall aesthetics of the project in mind becuase the final product has to look really good. If the project was mediocre or basic we wouldn't be too proud of our work, which is why we make sure every single project is as beautiful as possible. The product quality also has to be exceptional because looks aren't everything. We truly believe that a high quality product is better for us to produce because it reflects our brand on the final product. It represents us wherever you take it. Not only that, but it represents you anywhere you take it and it reflects your brand to an audience. The distinct look of our inflatables attracts crowds of people who have never seen anything like them before. Their sheer size is always an attraction regardless of where it is placed and people flock to take pictures with them. Would you like to see more detailed photos of our cool sports inflatables? Check out our mini gallery below!